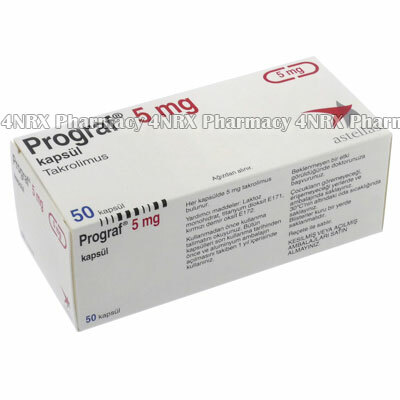 What is Prograf (Tacrolimus) used for? 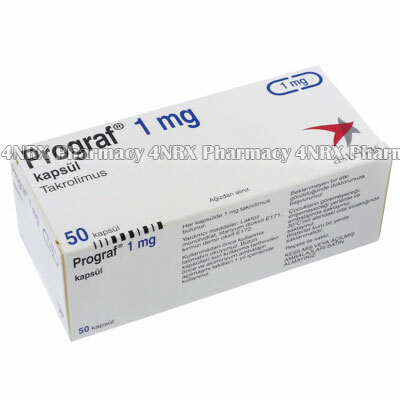 Prograf (Tacrolimus) is an oral immunosuppressant prescribed to prevent a patient`s immune system from rejecting a transplanted organ after having an operation. The medication operates by lowering the effectiveness of the immune system to stop it from attacking the foreign tissue of the new organ. Your doctor may also prescribe it to treat other unlisted conditions. How should I use Prograf (Tacrolimus)? Prograf (Tacrolimus) is normally taken every twelve hours at a dosage of one tablet, but your individual instructions will depend on your health condition and the severity of your symptoms. The tablets can be swallowed whole with a large glass of water and may be taken with or without food, but a meal or snack is recommended before application if you experience nausea. Do not split, crush, or chew the medication prior to use as this may destroy or alter the effects of its contents. Never stop using the medicine prior to being instructed to do so as the infection may not be gone and can return stronger or more resistant to treatment. Always ask your pharmacist or doctor any questions you have about using the medicine to ensure the correct administration. What are the side effects of Prograf (Tacrolimus)? More serious side effects that may require emergency medical assistance include faintness, flu symptoms, tremors, seizures, hypertension, raised blood sugar levels, high potassium levels, lowered magnesium levels, dry cough, unusual mood changes, halted urination, discoloured urine, or jaundice. Immediately tell your doctor about any symptoms that worry you or become intense to make sure the correct alterations are made to your dosage to prevent further health problems from appearing. Before beginning the use of Prograf (Tacrolimus), inform your doctor if you currently have a severe infection, oedema, heart disease, lactose intolerance, or if you are currently taking corticosteroid medications. These conditions may cause unexpected problems during treatment requiring adjustments to your regimen to prevent them from occurring. Strictly use Prograf (Tacrolimus) as prescribed and follow all instructions provided by your doctor. Safe, suitable, and optimum dosage can vary and is dependent on the patient`s health and medical history, as well as the condition you are treating. Prograf (Tacrolimus) may not be safe or suitable for all patients. Always ensure your doctor is informed if you are pregnant or breastfeeding, using any other type of medication (including non-prescription medicine, vitamins, and supplements), as well as if you have any allergies, other illnesses, or pre-existing medication conditions.